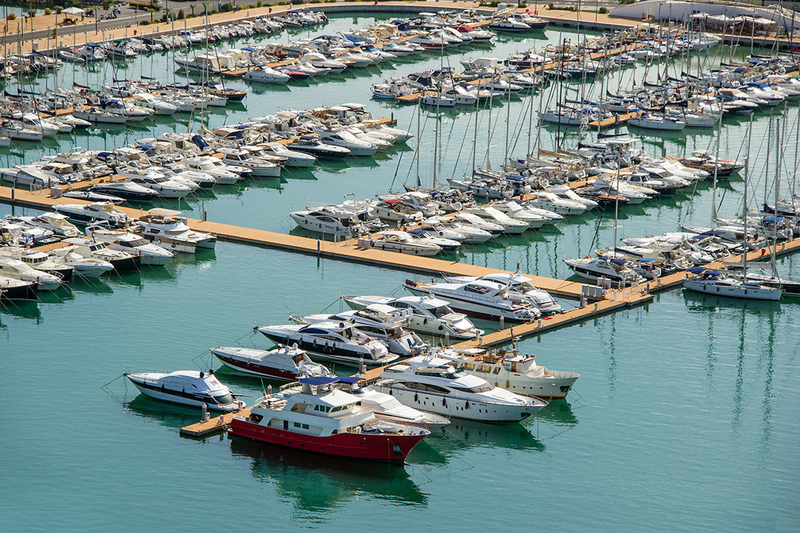 Marina d’Arechi is the largest of its kind (with its 340,000 square meters of water basin dedicated to boaters), as well as being the most modern in terms of service quality and safety standards. 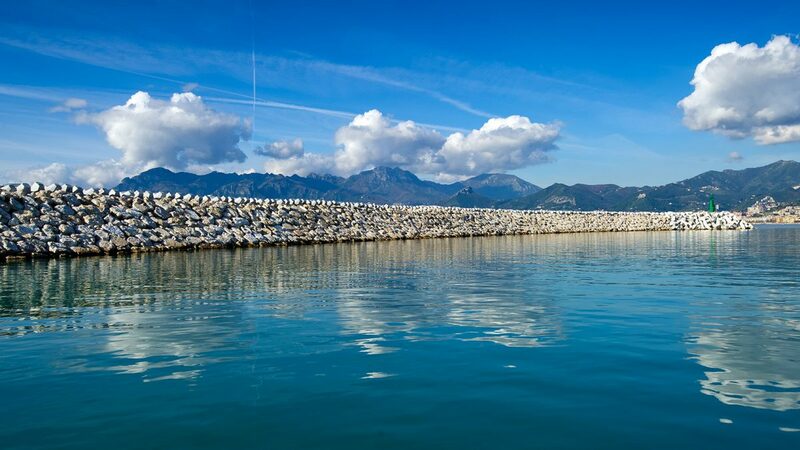 Perhaps most remarkably, it is also the most environmentally friendly thanks to the use of natural materials: an impressive 1.2 kilometres of breakwater, all in mosaic fitted natural rocks; pier flooring made of recycled wood; eco-sustainable furnishings and state of the art water and waste recycling systems. 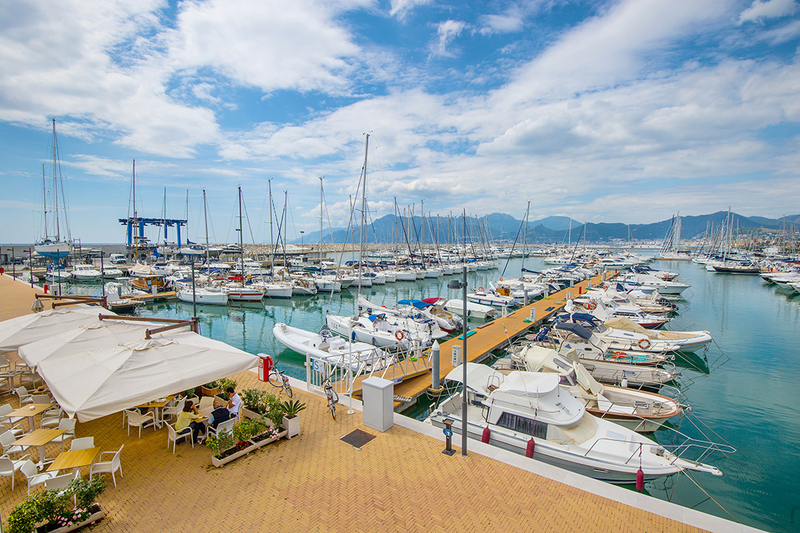 A private investment of 120 million euros (80 million of which was concentrated in the marina infrastructure at sea) sees Marina D’Arechi rank as one of the most important tourist facilities ever built in the South of Italy. 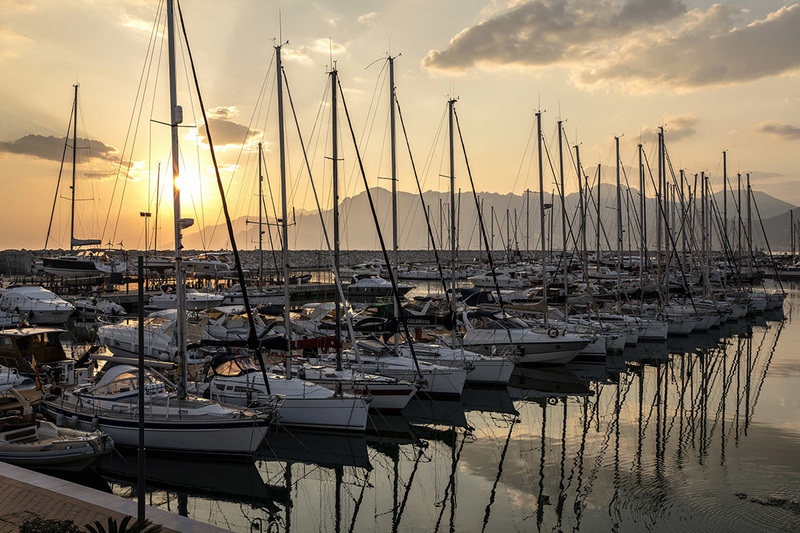 The initiative was launched in 2000 by the Gallozzi Group of Salerno, Southern Italy’s most active maritime and shipping business group, which is today majority shareholder. 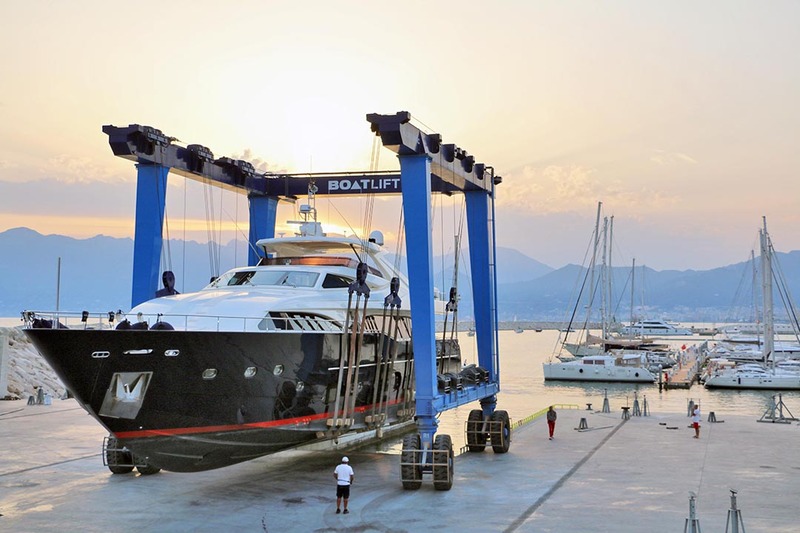 With 1,000 berths accommodating sail and motor yachts from 10 to 100 meters the Marina prides itself on providing luxury and comfort, a state of the art yacht maintenance and repair facility equipped with a 220 ton capacity travel lift, as well as a very competitive bunker station equipped with 14 fuel dispensers. Primarily however, the focus is on “safety & security first”. 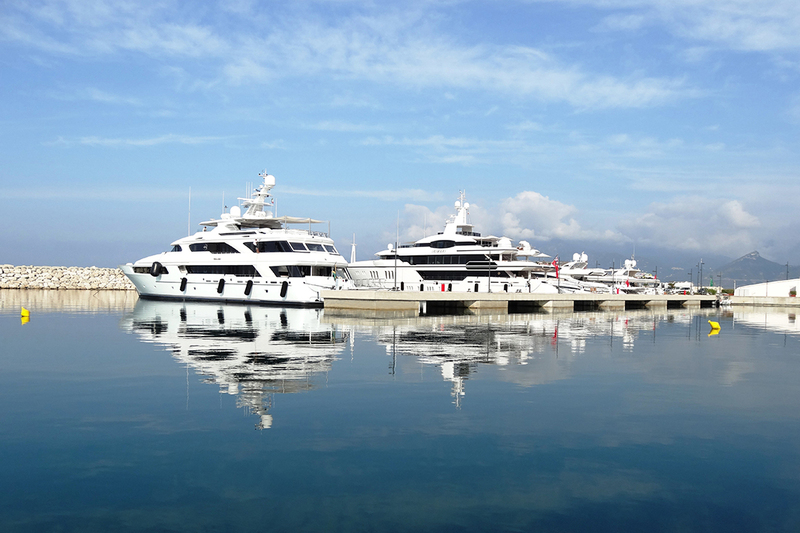 Marina d’Arechi features a control tower, video and remote surveillance systems, electronically controlled access, round-the-clock security and a widespread fire prevention system. To meet the highest standards of safety and security demanded, the design of the facility was based on extensive meteorological and marine studies, including state-of-the-art physical and mathematical modelling simulations under the direction of the prestigious Institute for Research HR Wallingford in the UK. 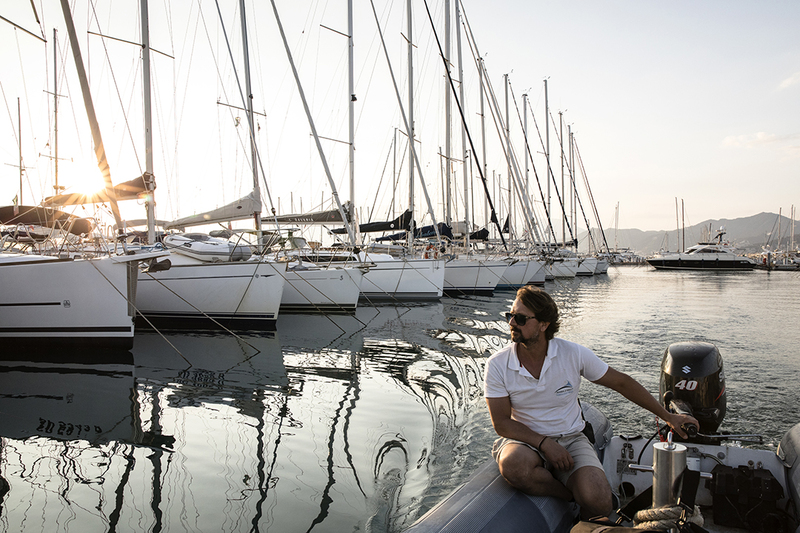 We are 3 Nautical Miles from the Amalfi Coast, 25NM from Capri and Punta Licosa, 280NM from Cagliari, 163NM from Palermo, 110NM from the Aeolian Islands. High speed trains connect Salerno central station with other major Italian cities on a daily basis. Local trains run to "Arechi" station, as well as buses no. 5 and 24. From the south – follow the A2 motorway, and take the exit towards Pontecagnano. From the north, take the A30 and A1 motorways, exit at Salerno-Fratte , then take the Salerno freeway exiting at Mariconda. 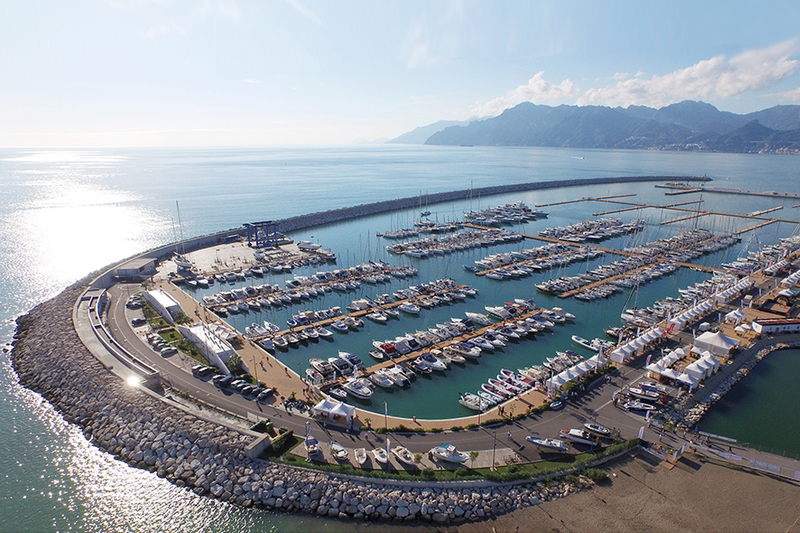 The Salerno “Amalfi coast” airport, dedicated to general aviation, is 14 km away. 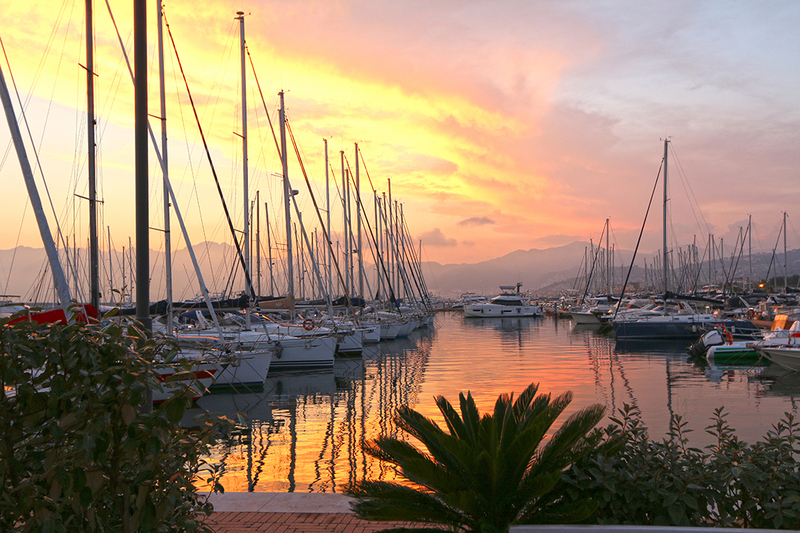 For those coming with commercial flights the International airport of Naples Capodichino is 67 km away.